The real estate market is projected to have a great year in 2019. Interest rates will rise, as price appreciation starts to slow to normal levels. Sales of new and existing homes will climb as more inventory comes to market. The Fed backed off of their planned 2019 rate hikes from 3 to 2. By the end of 2019, the 30-year fixed-rate mortgage will likely come with an interest rate of 5%. But even with rates rising, you can still secure a lower rate than your parents or grandparents did! For Home Buyers, the slowing of rate increases means that you should be able to buy almost as much house in 2019 as you could in 2018. *Historic normal home price is 3.6%. 2019 is going to be a great year for real estate, call us today to and for a home evaluation to find out about what your home would sell for. We are excited to work with you! ANNAPOLIS, Md. and MADISON, N.J. (March 30, 2017) – Better Homes and Gardens® Real Estate announced today the addition of J. Melvin Premier Properties in Maryland to its franchise network. The newly named Better Homes and Gardens -The J. Melvin Group, led by partners and co-founders Jennie Melvin and Carlos Garcia, will continue to serve the Anne Arundel, Howard, and Prince George Counties as well as the metropolitan DC area. Better Homes and Gardens Real Estate -The J. Melvin Group was established in 2009 by Jennie Melvin and Carlos Garcia, who have over 35 years of combined experience in the real estate industry. Jennie is a 4th generation Annapolitan. Her great-grandfather, George T. Melvin was the developer of Murray Hill, West Annapolis and Glen Burnie in the early 1900’s. Her father, John Melvin, was a prominent and trusted businessman in Annapolis. Her mother, Mary Melvin, was also a successful real estate agent. “My family taught me the importance of hometown friendships, community giving, customer service and integrity. These values which are the backbone of my business today,” Jennie said. For more information, visit http://www.JMelvin.com. The growing Better Homes and Gardens® Real Estate network includes more than 10,000 affiliated sales associates and approximately 300 offices serving home buyers and sellers across the United States, Canada and the Bahamas. Prepare to see a lot more green in 2017! While we'd love to predict you will win the lottery, what we are thinking about today is Pantone's official color of the year. 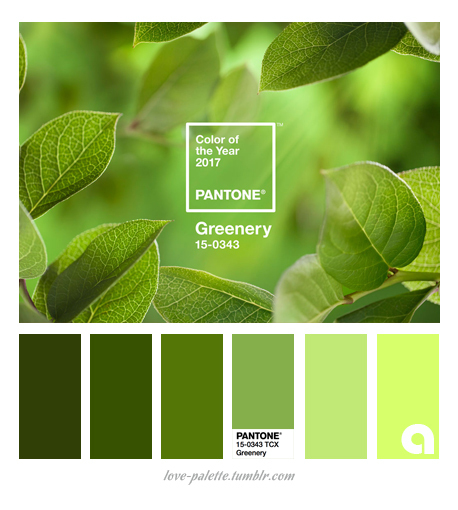 Pantone recently revealed a gorgeous yellow-green they call Greenery. The hue, which immediately brings to mind meadows, spring flowers, chartreuse hydrangeas, Bells of Ireland blooms and Green Goddess calla lilies, is sure to appear in on-trend home decor, housewares, furniture accents, paint and especially in fashion. 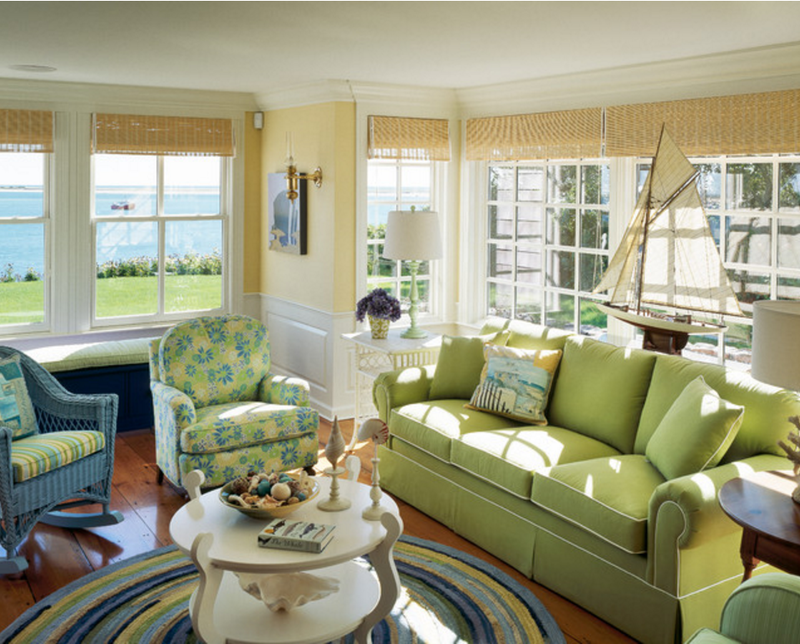 Pantone says the "refreshing and revitalizing shade is symbolic of new beginnings." We agree that It's exactly the sort of color we need to chase away the 2016 blues. Green is always the color of hope, of renewal and spring, and of fresh air, sunshine and vigorous adventures. 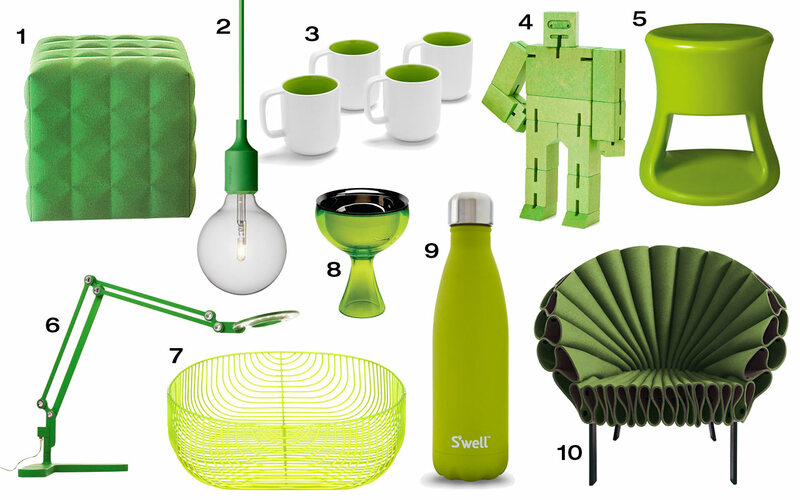 Pantone says Greenery is "life-affirming, emblematic of the pursuit of personal passions and vitality." "Greenery bursts forth in 2017 to provide us with the reassurance we yearn for amid a tumultuous social and political environment," says Leatrice Eiseman, executive director of the Pantone Color Institute. "Satisfying our growing desire to rejuvenate and revitalize, Greenery symbolizes the reconnection we seek with nature, one another and a larger purpose." Greenery is a departure from last year's double-pick: Rose Quartz, a blush pink, and Serenity, a dusty blue. The color pairs well with a plethora of other palettes, including fellow greens (think evergreen, turquoises, moss), yellows, taupes and random fun colors like Lilly Pulitzer's signature pink and fuschia. From a real estate perspective, green in any shade is generally a "good" color—it's gender-neutral, is at once restful, meditative and yet also active and can add to the value of your home, whether you choose it for internal or external paint color. You just became a homeowner—congratulations! In between the oh-my-gosh-I-have-a-mortgage feeling and the pile of empty pizza boxes (you have yet to unpack your cookware), you may be making a mental list of all the things you’re going to do to make your home your home—projects you plan to knock out the first few weeks as king (or queen!) of your castle. But tackling too much, too soon is a recipe for regret. The fact is, even though all of those projects seem necessary (they seemed necessary when you walked the home, too! ), many of them aren’t. A full-blown kitchen remodel, for instance, is a wise investment—but only after you’ve determined your needs as a homeowner (and how long you plan to stay in the house, as well). Ditto for the bathrooms—both projects are disruptive, expensive and time-consuming. If you are in the market to replace the old, inefficient appliances you inherited from the previous owner—another congratulations is in order! Replacing even just one appliance with an energy-efficient and/or smart alternative, according to the Association of Home Appliance Manufacturers (AHAM), can save you $50 and 100 hours each year. You may even qualify for a federal or state tax credit. Make it a priority to check the insulation in the attic—installing more where needed can cut costs your first year as a homeowner (and every year after). It’s well worth the expense: according to Remodeling magazine’s Cost vs. Value Report, fiberglass attic insulation recoups over 100 percent of its cost at resale. Money doesn’t grow on trees…but home value does. If your new landscape’s lacking, start planting trees as soon as possible—you’ll not only see lower energy costs over the long term, but also an average 18 percent boost in value, according to the Arbor Day Foundation, which sometimes offers native trees for free. You can also check with your local environmental nonprofits or appropriate city department to see if they have free or reduced price landscape trees and shubbery. That’s it—just three tasks. If you’re in your forever home, you’ll have more than enough time to finish these, and the rest on your list. This was originally published on RISMedia’s blog, Housecall. You may be throwing money right out the window. Or out the front door. Even down the drain. Why? Because these are some of the common places where your home might be leaking air, overtaxing your air conditioning and heating units and increasing your costs considerably. According to the U.S. Department of Energy (DOE), finding and sealing air leaks will save you a bundle. Once identified, leaks can be stopped in their tracks with simple caulking or weatherstripping, a move that provides a return on investment usually in less than one year, says the DOE. Caulk is used for cracks and openings around stationary items, like doors and window frames, and weatherstripping is best for sealing moveable components like doors and windows. In addition to drafts and cold spots, air leakage also contributes to moisture problems in the home. Caulk and seal air leaks where plumbing, duct work or electrical wiring comes through walls, floors, ceilings and soffits over cabinets. Inspect dirty spots in your insulation for air leaks and mold. Seal leaks with low-expansion spray foam made for this purpose, and install house flashing if needed. Check your dryer vent to be sure it isn’t blocked. This will save energy, and may prevent a fire. The DOE emphasizes that air sealing doesn’t eliminate the need for proper insulation, which reduces heat from escaping the building envelope. STORY By: Lynn Gardner of Lynn Gardner Homes. Originally published in Greenbook, Issue 5, Spring 2015. ?Photos BY: KTOM Photography, Annapolis. Bounded by Back Creek on one side and Spa Creek on the other, the Maritime Republic of Eastport is defined by both geography and location. A naturally formed, nearly flat and narrow peninsula that juts into the Severn River, the Republic is surrounded by water and located just a short bridge’s length from historic downtown Annapolis. Land records show ownership of the peninsula, originally named Horne Pointe, began with a grant to Robert Clarkson in 1665. Fort Horn, built at the tip of the peninsula in 1776 as a defensive post overlooking the Severn River, was occupied in both the War of Independence and the War of 1812, but abandoned sometime after. The area remained largely agricultural until construction of the Naval Academy began in 1845 and a development company, the Mutual Building Association of Annapolis, was founded in 1861. The Mutual Building Association platted 101 acres of land, which it sold to families in need of housing close to downtown Annapolis. It wasn’t until the mid 20th century that industry and agriculture gave way to residences and neighborhoods. Long before Annapolis became synonymous with sailing and yachting, Eastport was home to fishermen, crabbers, watermen, boat builders, sail makers, marine engineers and the laborers required to create and sustain all manner of traditional maritime enterprises. The peninsula was annexed to Annapolis in 1951. 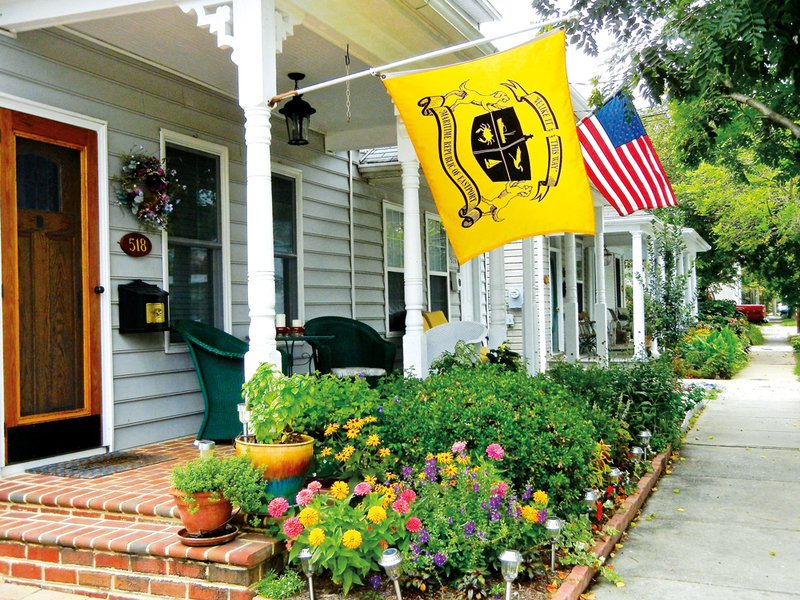 While the Republic is indelibly connected to sister-city Annapolis, it retains a distinct personality and whimsicality all its own. The Back Creek side of Eastport is best known for residential condos, quiet street-end docks, row upon row of boats of every sort and a slough of small marine enterprises. The Spa Creek side faces downtown Annapolis and is a bit livelier for the boat brokers and yards, sailing clubs, restaurants and commercial businesses. The interior of the peninsula contains all manner of homes. Gentrification in the past two decades has brought major renovation and reconstruction to formerly working class and farm-style houses. It isn’t unusual to find a lowly bungalow sandwiched between a luxuriously appointed New England style home and a true Arts and Crafts masterpiece. 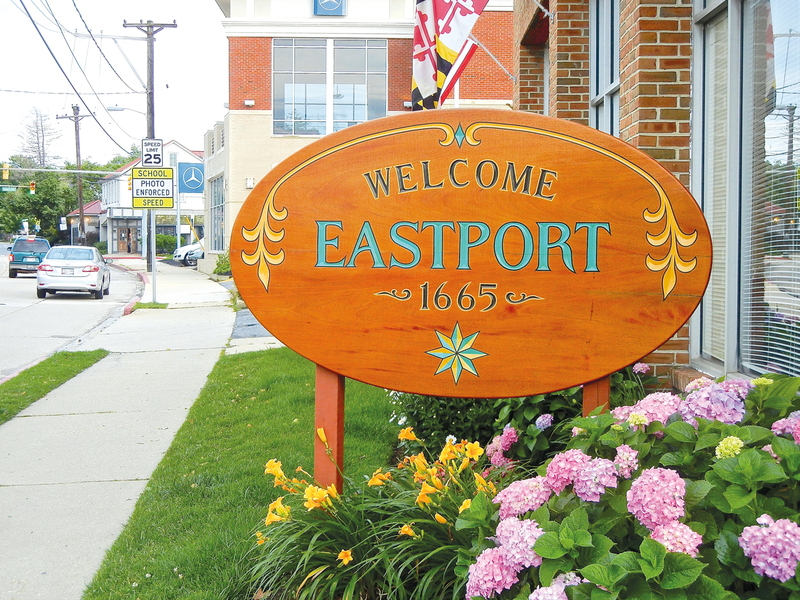 When I first moved to Annapolis in 1990, the revitalization of Eastport was in full swing and homes were being snapped up from original owners with fervor. Many of the properties were quite distressed and had to be reconstructed from the bones up. Others were made into affordable rentals for the young adults who helped Eastport evolve into a bohemian, laid back, stay-cation sort of neighborhood that counts beloved cafes, restaurants, bars and pubs as common meeting places. In the 1990’s, Eastport’s boundaries were from Horn Point on the East to First Street on the West and from State Street and Severn on the North to Chester on the South. A growing desire to live on the Eastport side of the Spa Creek Bridge and a surge in development has expanded those boundaries for practical purposes all the way to the intersection of Bay Ridge Avenue and Hilltop. Home values in Eastport have significantly changed since my arrival. When I was house shopping for a home in Eastport in 1995, I recall the average cost of a house in the original core of the neighborhood was $130,000-$360,000 depending on street location, condition and proximity to the water. Today these same houses are selling for up to $2,000,000 or more with price determinate on location, house size, lot square footage and buildout grades of construction. Recent trends show the median price of homes sold in spring 2016 was $495,000, or about $283/sq. ft.
Eastport continues to be a great investment due to continued gentrification, commercial viability, community activism, recreational access to the water and an expanding list of amenities. Here are a few of my favorite places to go in Eastport. As they say on this side of the bridge: "Up with the Republic!" Millennials aren’t just texting and tweeting. They are entering the real estate market as new homebuyers in record numbers. In fact, a 2015 study by the National Association of Realtors (NAR) found for the second consecutive year that the largest group of recent buyers (32%) was the Millennial generation, people aged 34 and younger. Approximately 43 million Americans are between the ages of 25-34. During the recessionary years of 2007-2009, and up until 2013, Millennials (people born between 1980 and 2000) were cautiously entering the real estate market. An uncertain economic future and a general distrust of financial markets made investing in real estate unattractive. Many Millennials watched their parents suffer through upside-down mortgages, lay-offs, investment losses and increased costs of living. Millennials understood that home ownership required staying in place and a steady income, two things that the new economy could not guarantee. Today, Millennials are waking up to the reality that rents are rising faster than home prices. “Millennial homeowners are saddled with obstacles no previous generation has had to face", Lucy Mueller wrote on the Forbes.com blog Millennial Money. Despite these factors, Millennials comprise the largest segment of the real estate buyer market, ahead of even Generation X, (those born between 1965 and 1979). The expectations of Millennial homebuyers differ from previous generations of real estate investors. 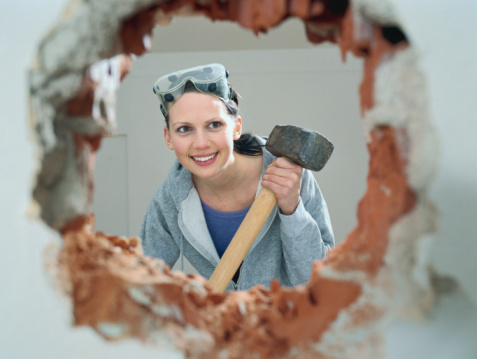 Most Millennials prefer a turn-key property that requires little refurbishment. Others will trade an affordable mortgage for something they can put sweat equity into. Millennial homes reflect their owners' personality and values. Millennials value proximity to urban areas, town centers, or communities where they can be active socially and recreationally. Millenials see a house as more of a “home base” than a point of gathering. Millennials prefer open spaces. Because of their active lifestyles, they prefer as little maintenance as possible. Millenials know their tastes and lifestyle will change; they want a home that will adapt. Millennials tend toward smaller lots with proximity to nature. Outdoor space is still important; however, on a smaller scale. Millennials expect “green” or sustainable and renewable construction, and the ability to support multiple electronic and technological devices. 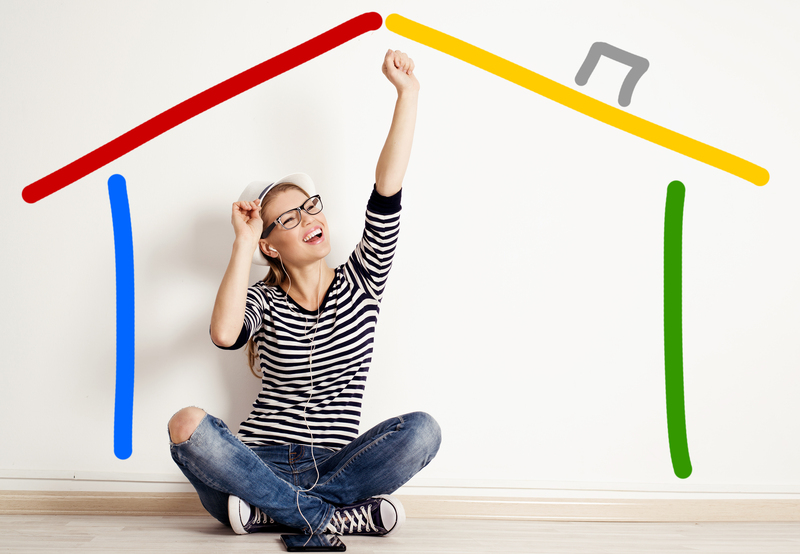 Millenials rely on financing more than any other tool to purchase real estate. Inability to save (whether due to job income, costs of living or less time accumulating savings) makes relying on mortgage loans the only way some Millenials can afford to buy. New financing and loan programs available through Fannie May HomeReady that allow for as little as 3% interest may help millenials afford housing. The Federal Housing Administration (FHA) has a 3.5% down payment program that offers flexibilities that Fannie Mae and Freddie Mac do not. The Department of Veterans Affairs offers veterans several tools to buy a home with government-backed guarantees. Millenials have more options than ever to afford a new home. While a first home purchase may seem an unrealistic goal, talk to your realtor about options that may make property ownership a reality for you. Text by Gary Haynes of Next Step Real Estate Partners. This story originally appeared in Greenbook Magazine, Volume 6, Winter 2016. If you are thinking about downsizing, moving to a smaller home that is easier to care for or living independently in a community of like-minded empty nesters, living in a 55+ community may be a viable option for your home investment. Planned developments catering to the 55+ crowd often feature smaller homes, neighborhood associations that manage the care of homes and common spaces and a range of amenities. For example, in the Annapolis area, Heritage Harbour features a clubhouse with a ballroom, indoor pool, gym, wood workshop, billiard room, and onsite restaurant. The extensive development offers a golf course, marina, RV and boat storage, tennis courts, and small craft launch sites along the South River. A commuter bus is a particularly valuable asset for the many residents who need rides to local and regional activities, stores, medical centers and other communities. On the other end of the spectrum are communities like Villas of Rock Oak in Odenton, which offers a minimum of amenities beyond the advantage of living in a community of similarly aged neighbors. If you are worried that you will eventually be unable to mow your lawn, shovel snow, or even manage stairs or close corridors, or if you want to leave your traditional neighborhood for a community of similarly focused retirees, it may be time to consider the pros and cons of Adult Living Communities. • Possible access to transition housing, such as assisted living. While there are many positive reasons to buy in an Active Adult Living Community (Over 55), there are also potential negatives to consider. While some active seniors find the non-stop activities, the kid-free environment, and freedom from worry about maintenance and other homeowner chores to be an attractive proposition, there is another segment of retirees who find the rules, expense and planned lifestyle unattractive. Of course, the elephant in the room is the one best described my client, who exclaimed, “They are all so old!” In fact, ages vary widely in senior living communities. It's true that some communities house residents are well into their 70’s and 80’s. 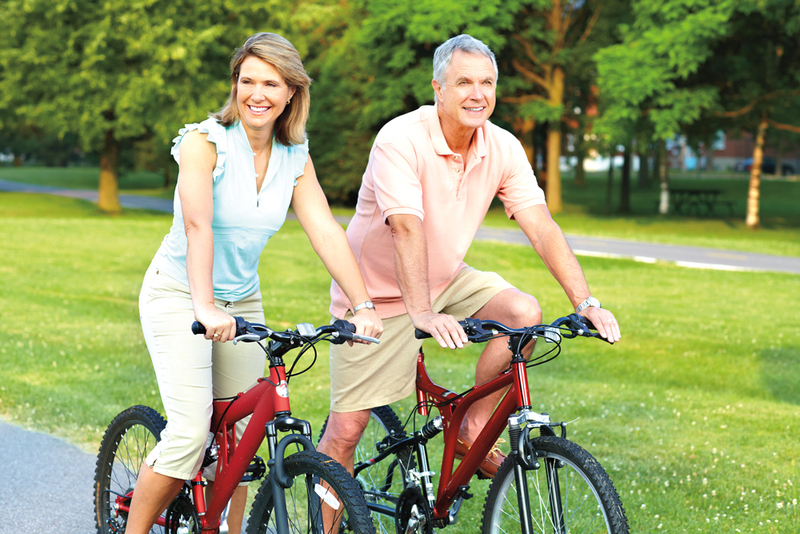 But contemporary development trends cater more and more to younger retirees who want to downsize but not necessarily end their active lifestyle. then traditional senior living communities may not be for you. Many Active Living community amenities are subject to an association fee, and it is important to understand the details of corresponding costs before you invest. There could be a disparity in costs depending on if you purchase a single family home, townhouse, villa or condo. In particular, investigate what the condo association covers, including maintenance and flat-use fees. Most association costs include at least some portion of grounds keeping. 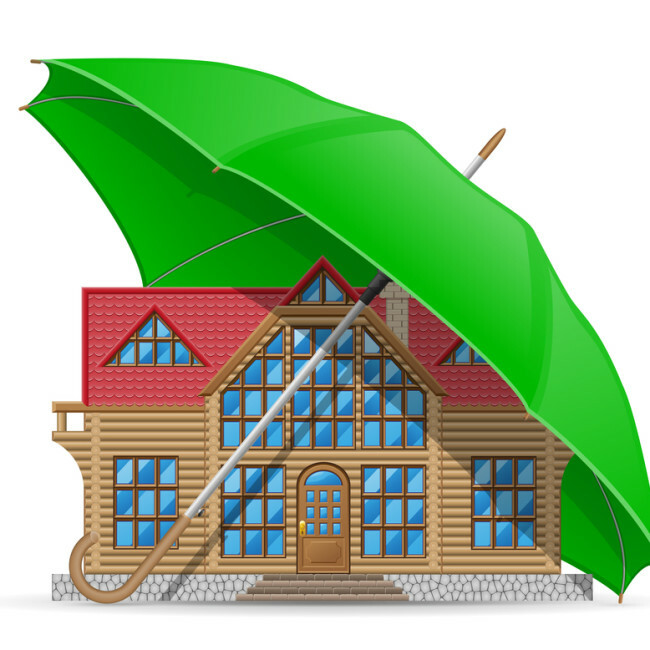 Some include home maintenance repairs for appliances and HVAC or plumbing systems, or even repair of main exterior structures such as roofing and gutters. Conversely, some will not. You have the right to read the condo/home owner contractual and legal documents before purchase. You also have the right to rescind your contract offer if you decide the community is not a good fit for you. However, it is important to do your research to get a full understanding of what amenities, upkeep and associated fees you will be responsible for, and to include these costs in your consideration of the total investment. Be sure to calculate annual fees compounded over several years, to ensure that you can afford your new home ten or more years down the road. Most 55+ communities have age ratios they must legally prove in order to retain their land use and tax status. Proof of residency could affect your purchase and financing. For example, if you are 50 years old and decide to buy a home in a 55+ community for your retiring parents there is a strong possibility that they would not be allowed to assume residency because the owner (you) is not age 55 or older. These legalities need to be understood before an offer is made. An intangible benefit of moving into a 55+, planned community is the ability to live with like-minded people who are around your age and who may enjoy doing things you like to do. On the other hand, you may not be able to pay the expenses of retirement living, or you may not be attracted to interacting with so many like-minded people in such close living quarters. Regardless of your choice, it is important to carefully research the pros and cons of different types of planned living communities, what each offers, any costs you may necessarily incur, and the value of your investment over time as you transition to elder care. 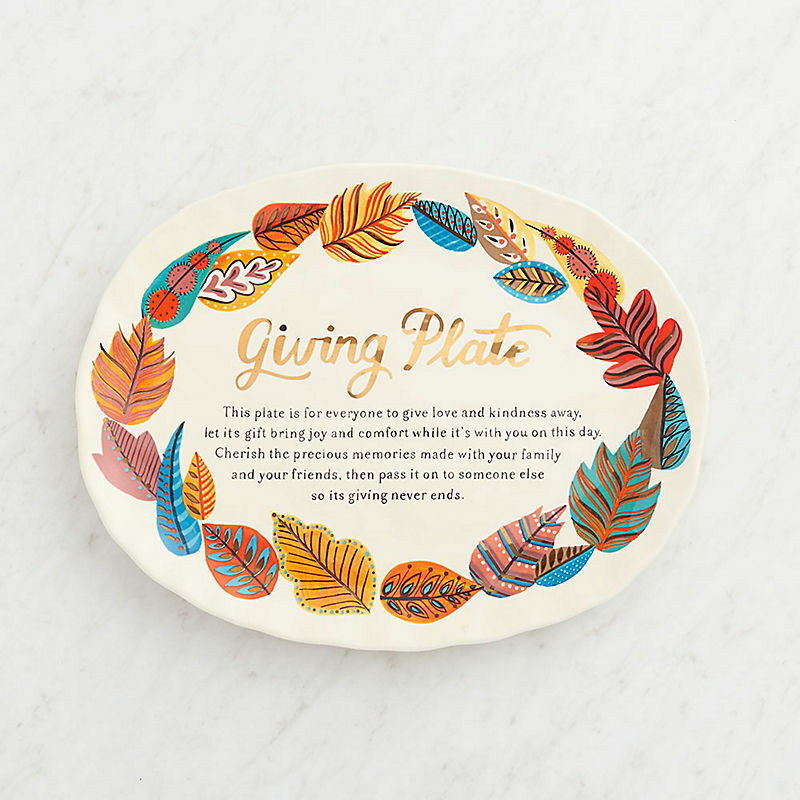 While purchasing the Giving Plate at Paper Source might be quick and convenient, we like the idea of personalizing something similar at Clay Bakers in Annapolis or Easton or Pottery at South River Colony in Edgewater. Plan in advance: your art might require a week or more for firing in the kiln. 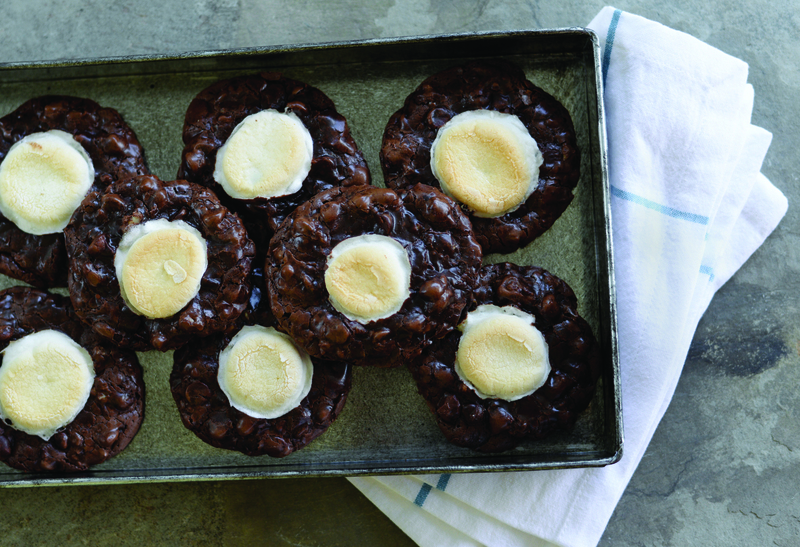 Fill your plate with a variety of sweet and savory treats. Try one of the following recipes—all from local cooks. 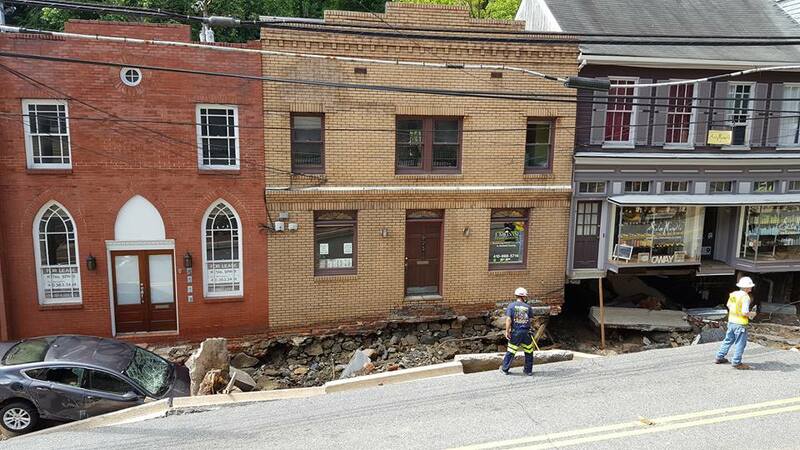 Last July’s flooding of Ellicott City dumped six and a half inches of rain on the area within two harrowing hours, creating a flood that surged from the streambed of the Tiber and Hudson rivers to push through doors, windows and entire buildings. 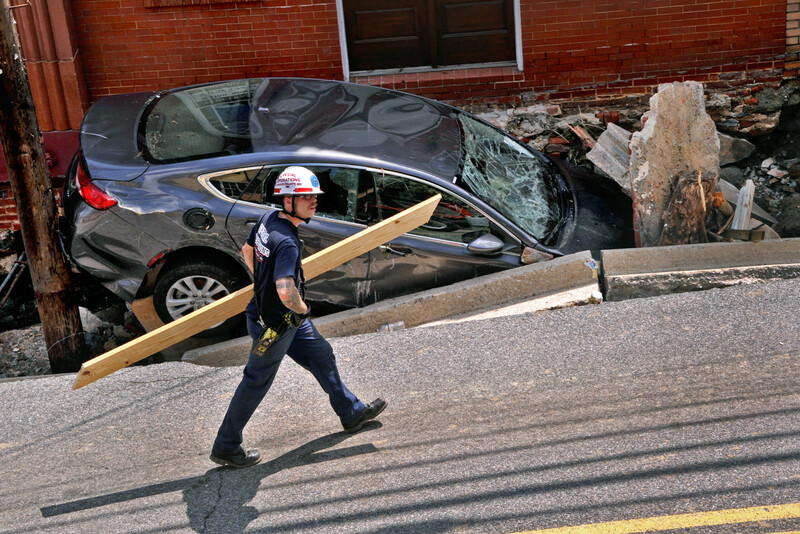 The floodwaters followed a path of least resistance through concrete foundations and onto Main Street, rushing toward the Patapsco River. The flood itself carried cars, shop inventories, debris, mud homes and entrepreneurial dreams in its wake. Ninety businesses and 107 homes were damaged, many beyond repair. Two people died. Homeowners were displaced. Businesses were ruined. Howard County officials estimate renovation and redevelopment will cost at least $22.4 million. J. Melvin Premier Properties opened a three-story office on historic Main Street in July 2016, exactly one month before the flood. 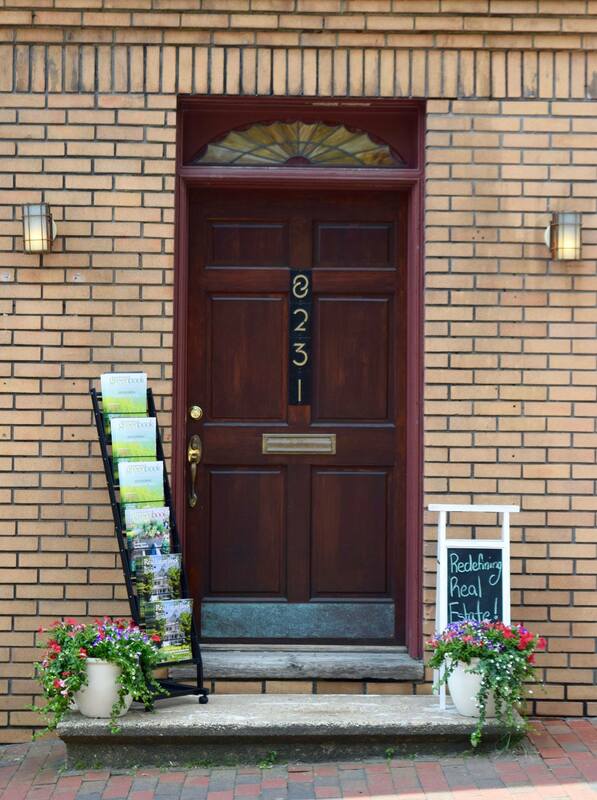 “We were excited to extend our business to downtown Ellicott City. It seemed a natural fit to expand from one historic city to another,” said Jennie Melvin, owner of the regionally successful real estate agency, headquartered in West Annapolis. Jennie’s family has deep roots in the area. Her great-grandfather George T. Melvin developed Murray Hill, West Annapolis and Glen Burnie, and was a prominent entrepreneur in the city. Her father was also a successful business owner and philanthropist. 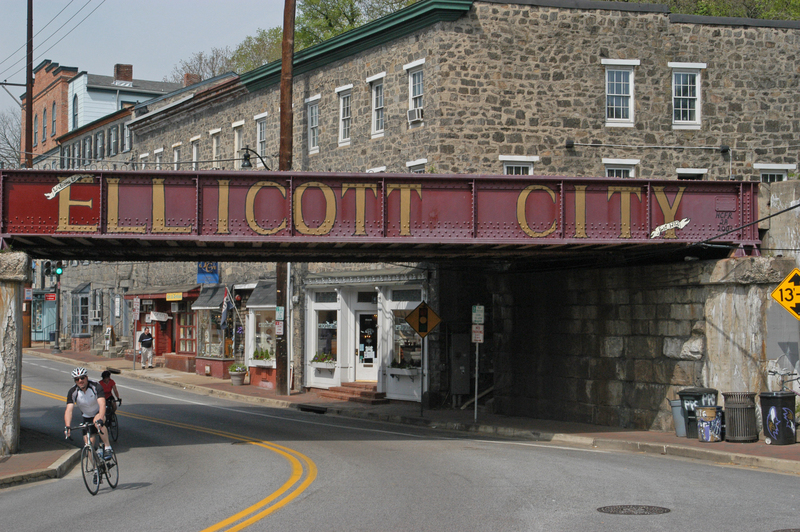 She has roots in Ellicott City as well: she is distantly related to the Ellicott brothers who settled the area and built the town. Located at #8231 near the top of Main Street, the office's front door was just yards from a water main that broke during the storm. The fracture of the water main significantly contributed to the flooding of the neighborhood. The Tiber River flows directly behind the office building, literally just a couple of feet away from the back door. When it flooded its banks and the water main burst, the force of the flow chipped away at the foundation until large holes were formed. One hole, in particular, is large enough, in fact, to carry away a ten-foot long wooden conference table which remains missing to this day. Water forced through the opening stone-by-stone until portions of the foundation were washed away. A concrete retaining wall and porch on the rear of the building are gone. The downstairs level is a wreck of broken wood, branches, boulders and sand. While other Ellicott City buildings are under renovation, the J. Melvin office remains one of the few edifices still inaccessible because of the extent of the damage, and uninhabitable because of mold and mildew. Jennie and agency broker Carlos Garcia remain stalwart in support of their Ellicott City expansion, though. “After touring several other cities in Howard and Montgomery counties, we were attracted to the warm welcome and strong community feel of Main Street, which was home to other entrepreneurial, local businesses like our own,” Jennie said. “We believe strongly that Ellicott City will recover, and that it will be better and stronger than ever,” noted Garcia. “We are committed to community service, community involvement, and community improvement. Helping other business owners and homeowners recover from the flood is the right thing to do.” The company is donating ten percent (10%) of any Howard County settlements through January 1, 2017, to funds that aid flood victims. Recently, Melvin signed the lease on a new office, this one located just down the street in a former bank. When renovations are complete, customers will enter a gorgeous space with high vaulted ceilings, period details, and even a walk-in safe where visiting children can play. "Don't worry," laughs Garcia. "There's no way ten men could close the door to that vault! It's ridiculously heavy and unmovable!" Melvin expects to take occupancy of the space in early November.